Proliv is a liver tonic that protects the liver from damages caused by various toxins. with bacterial metabolites, lipotropic factors, cholagogue agents, niacin, folic acid, methyl donors and fermentation fractionates. 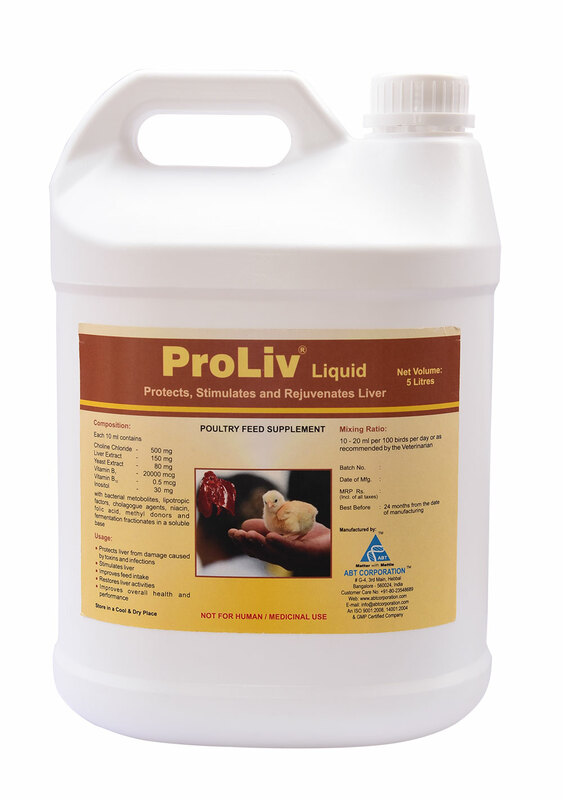 20 ml per 100 birds per day or as recommended by Veterinarian / Nutritionist.